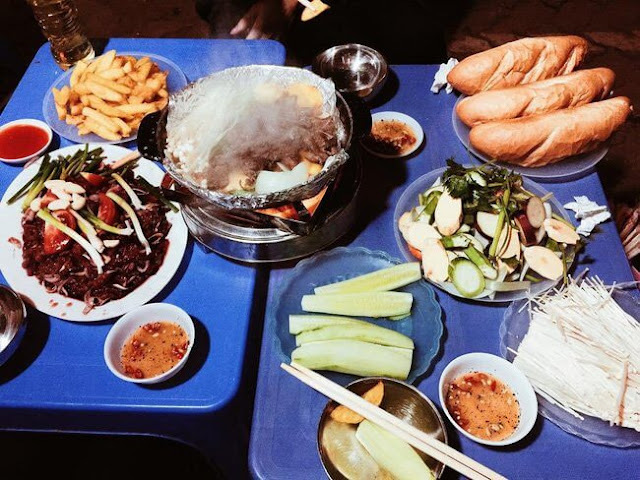 One of the most famous restaurants in Cat Linh is the tofu vermicelli located right in front of Phan Phu Tien Street (can be seen when going from Cat Linh Street). This stall is right on the sidewalk, quite small but always crowded. It is familiar too see the owner busy with two oil pans to fry tofu and rolls while staff also always run to serve guests. 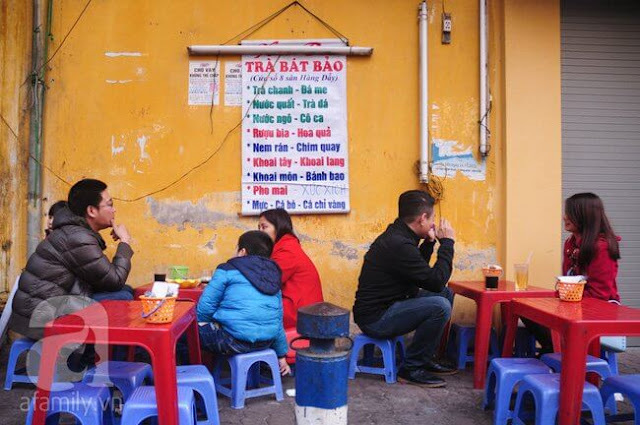 Perhaps with many people, this is the best place to enjoy tofu vermicelli in Hanoi. 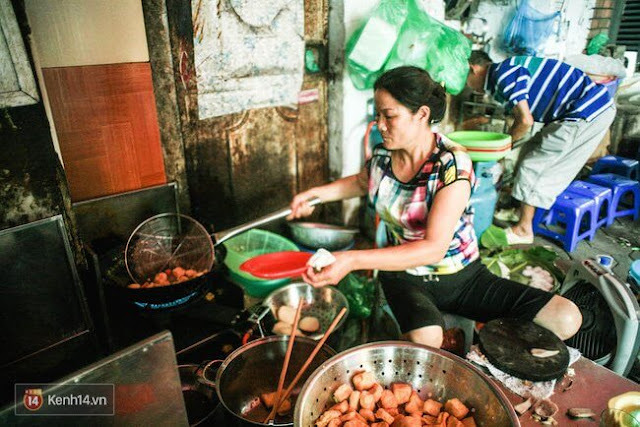 From about 11 am, this tofu vermicelli stall is always crowded with guests. The tofu is only fried when guests order, so it fresh and so hot, and not greasy at all. Moreover, there is also boiled pig tongue and crab rolls that that not many restaurants sell. 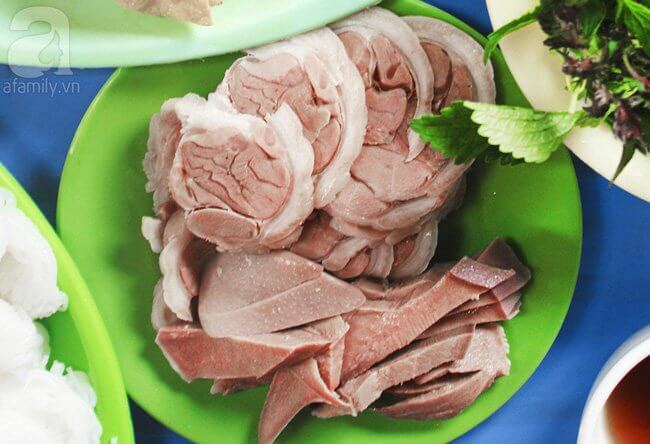 Crispy tofu, crunchy tongue, fragrant rolls, lean leg meat, thick slices … it is difficult to find the weakness ... except the price. In fact, in comparison with the price, the bowl of vermicelli here is slightly better than many other restaurants. 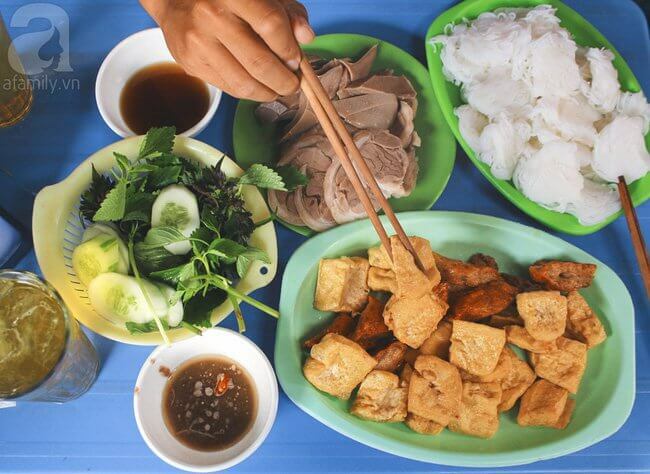 A serving of tofu vermicelli is 35,000 VND (1.4 USD) while a serving full of tofu, meat, tongue, crab meat is 80.000 VND (3.2 USD). The quality of food is consistent, the food is full, this price can be considered worthy. The most crowded time is during lunch, when the office people "flow" to the stall to have their lunch. However, you do not have to wait too long because there are many employees and they know how to take care guests. This noodle shop has been over 10 years selling noodles at the back of Hang Day yard. 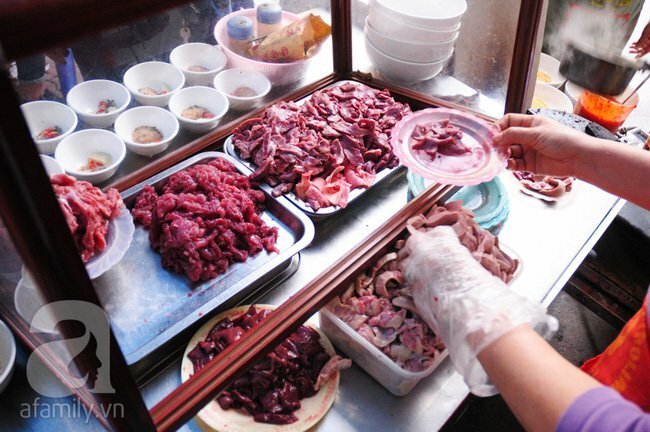 A bowl of noodles here will consist of noodles, stems of the heart, viscera, beef and vegetables. 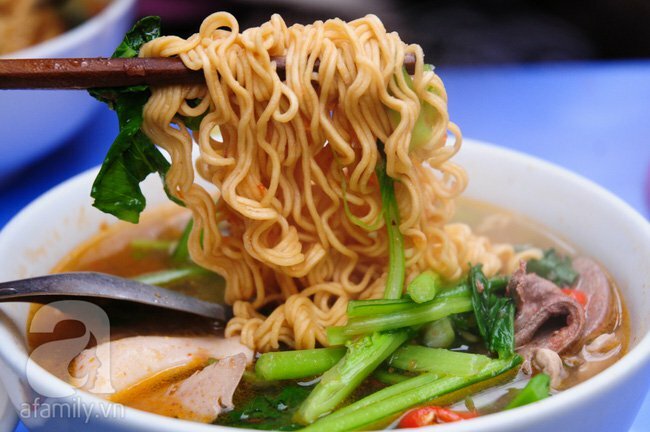 Thanks to that the bowl of noodle is harmonious, easy to eat and not too fat. 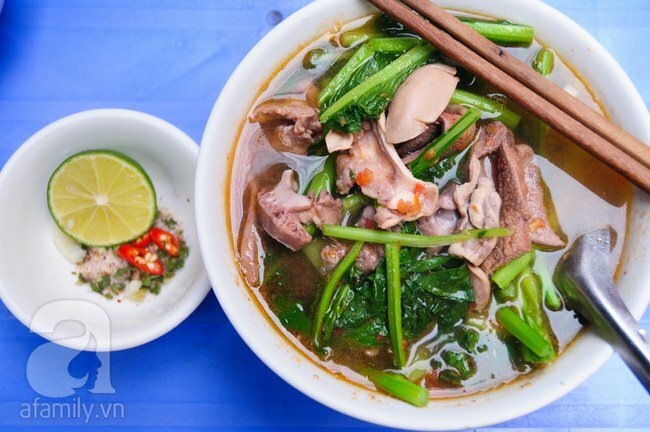 The special feature of this noodle restaurant is that, each guest will be served with a spicy bowl of soup powder, chilli and garlic; so the taste of heart and viscera pieces will be more delicious. In addition, due to the good skill of blanching the noodle in many years of experience, noodles in the bowl is still not tough or crushed. So if you like to eat softer noodle, remember to tell the owner. In addition to traditional heart noodles, the restaurant also serves fried noodles. 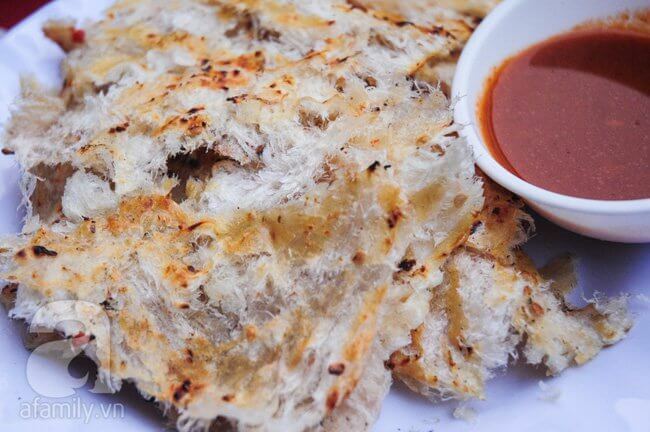 This will make your selection richer for breakfast. Although the noodle restaurant has a lot of tables but in the early morning, it’s so crowded that you would have to wait if being late. 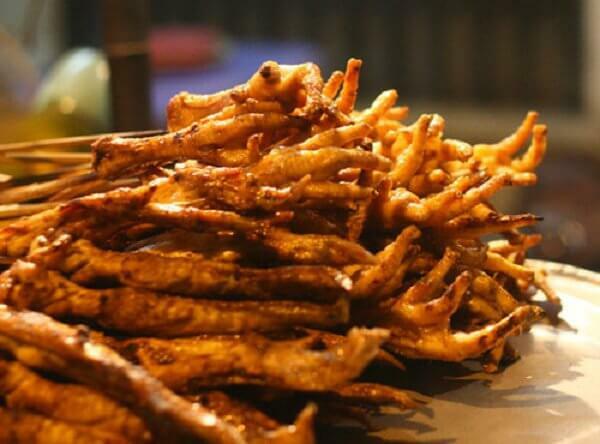 It’s a pity if we ignore the combo of fried potato, fried noodles, herb tea... in this area, in addition to heart noodle. This area has only 2 stalls in the gate behind the stadium but there are many seats, so big groups’ meeting still can be possible. 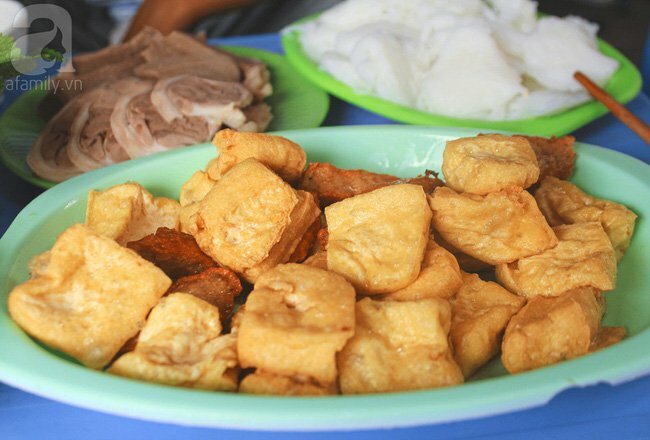 In fact, the menu is much more diverse with fried potatoes, fried sweet potatoes, fried nem (rolls), taro cake, fried dumplings, fish, corn juice.... 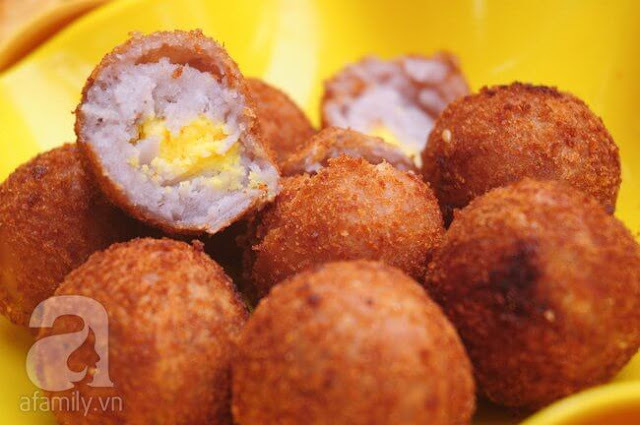 Especially, the price is very reasonable, price is 30,000 VND (1.2 USD) per plate only. The food here is almost processed in advance, when th guests order, the owners will fry the food again, so the food is always hot and crispy. 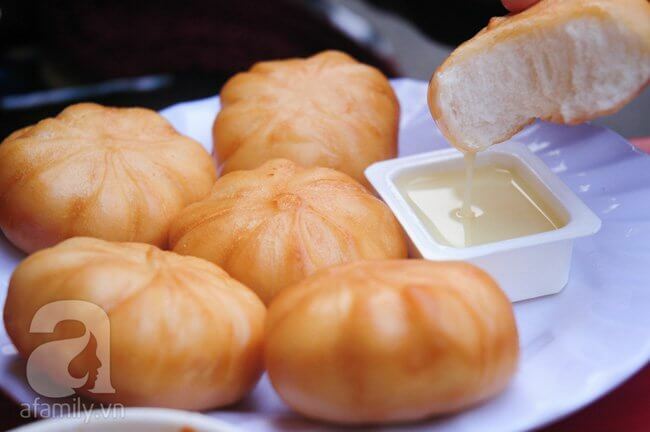 Each dish is served with a separate sauce, fries potatos are served with soy sauce or chili sauce while fried dumplings are served with condensed milk. The snack area here opens from 4 pm to 11 pm, and in the evening it is crowded. The grills stall is located just opposite the Pullman Hotel, easily accessible. 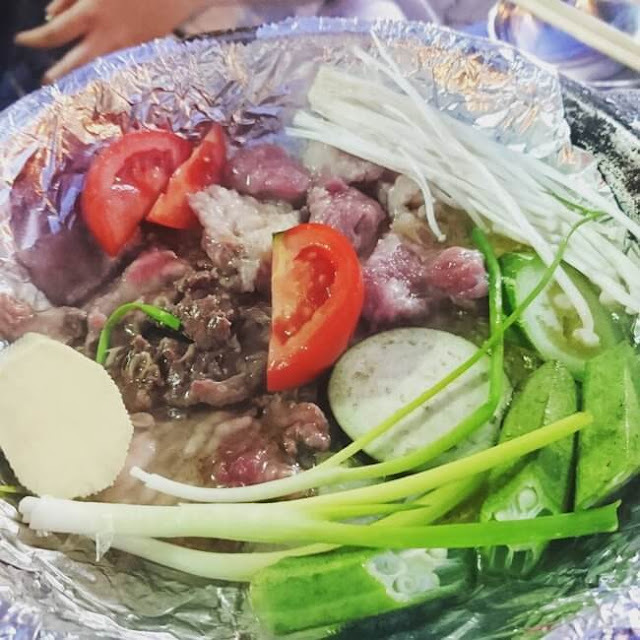 Compared with other restaurant, this one has lesser selections of food with only beef, breast, pork belly, vegetables, mushrooms ... but they are fresh and marinated deliciously. At this restaurant, you can order food separately or a set menu. Set menu is 120,000 VND (4.8 USD) per person with a dish of meat, vegetables, mushrooms and cucumber. 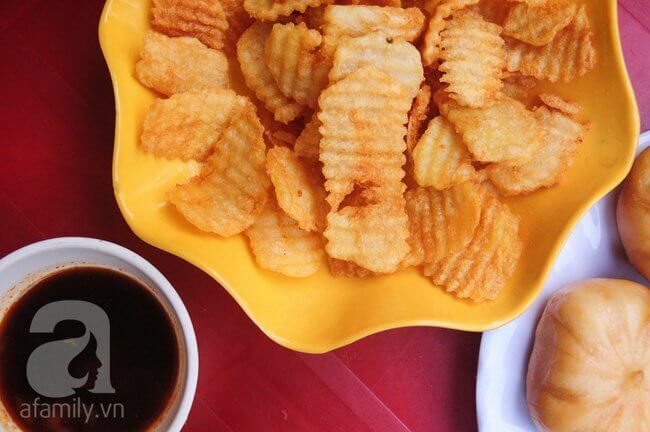 This meal is enough to fill and you just need to order some drink instead of meat. This stall is on the sidewalk, so it is airy but of course, it is hard to feel like eating a restaurant. 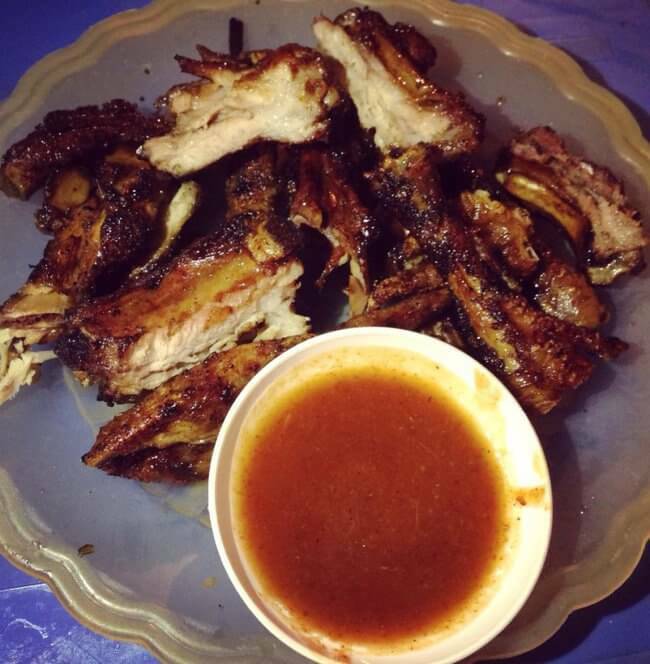 However, eating barbecue on the sidewalk is quite convenient because it’s airy. The stall opens at around 6:30 pm and is usually crowded at night. 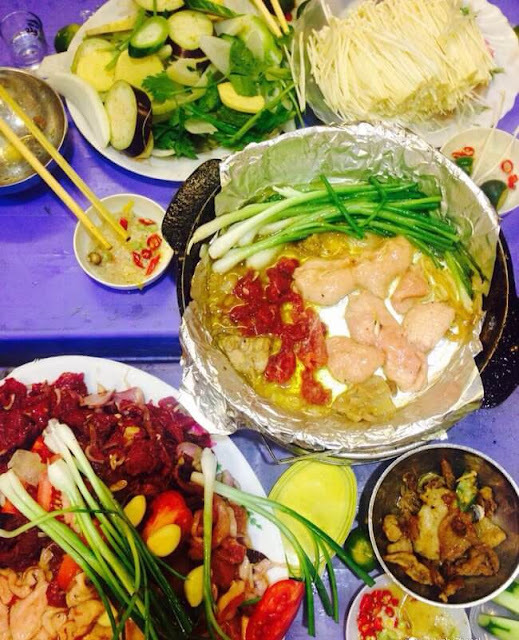 The Thai Hot Pot is also opposite the Pullman Hotel and near the above mentioned grilled meat restaurants. 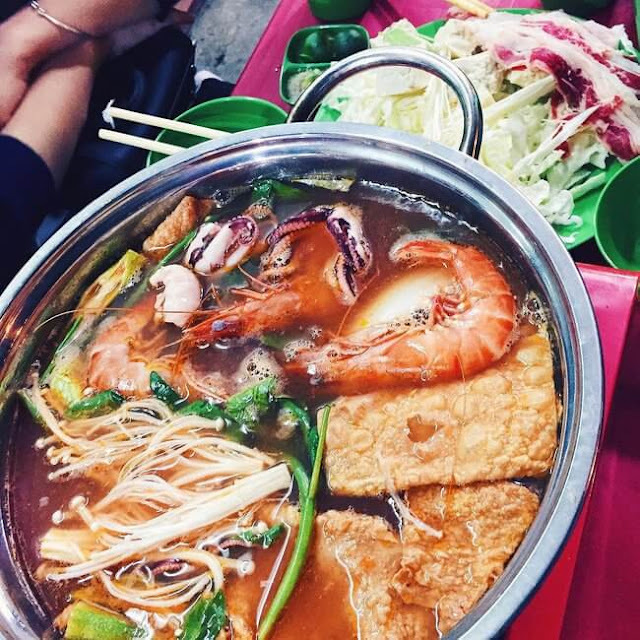 As the name suggests, the restaurant specializes in Thai hot pot which is 245,000 VND (9.8 USD) per serving, enough for 2 to 3 people. 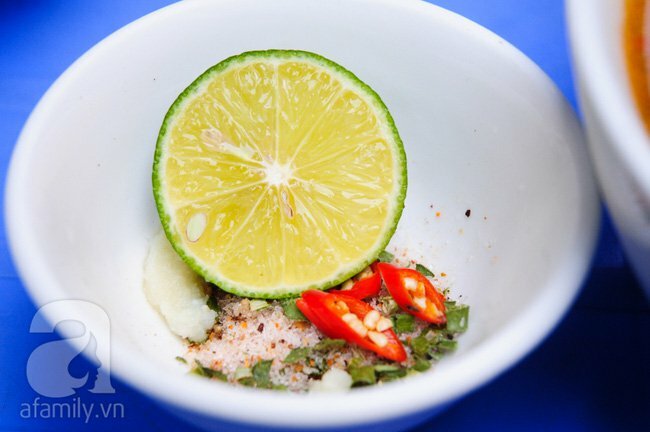 Hot pot sauce here is sour, spicy, sweet enough, very easy to eat. 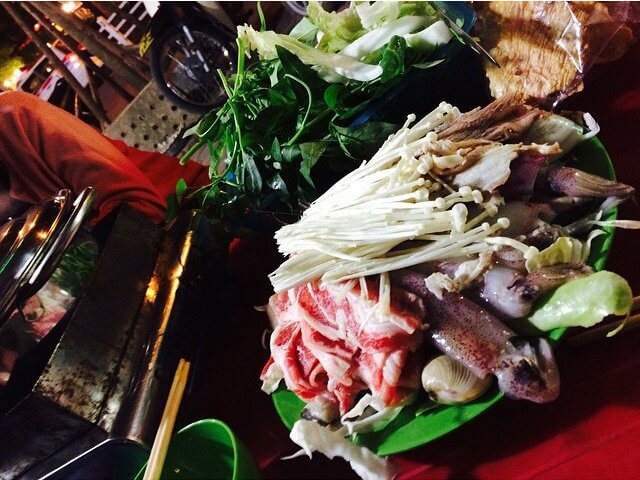 Food such as beef and seafood are not so much but they are generally fresh, so we feel safe when eating. 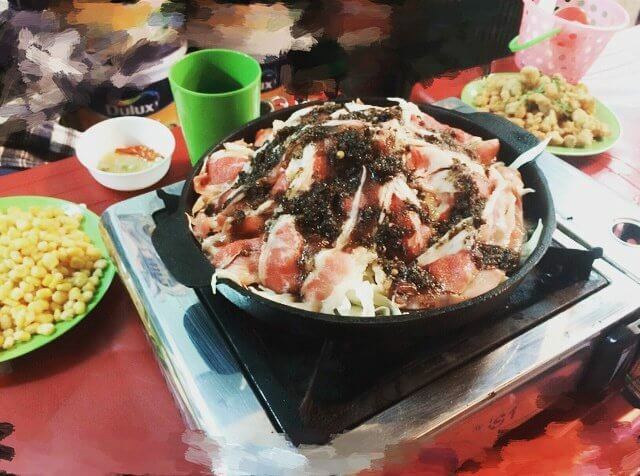 In addition to the hot pot, there are many trendy dishes that the youth like, such as beef with black pepper, spicy chicken legs, fried chicken, prices are quite popular. In terms of space, the restaurant has indoor seats but quite small, so most of the tables are arranged outside. However, tables and chairs are quite clean. 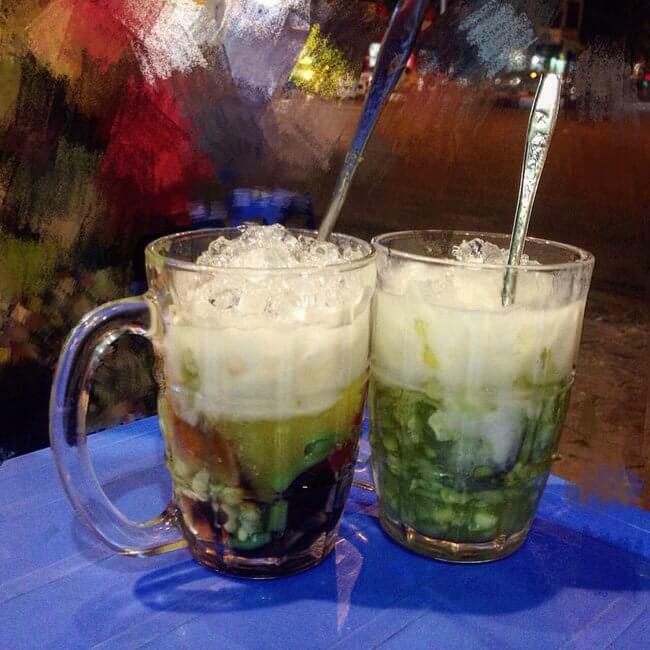 Referring to Cat Linh, there is a sweet soup address that few people do not know: Saigon sweet soup, in the beginning of the street. 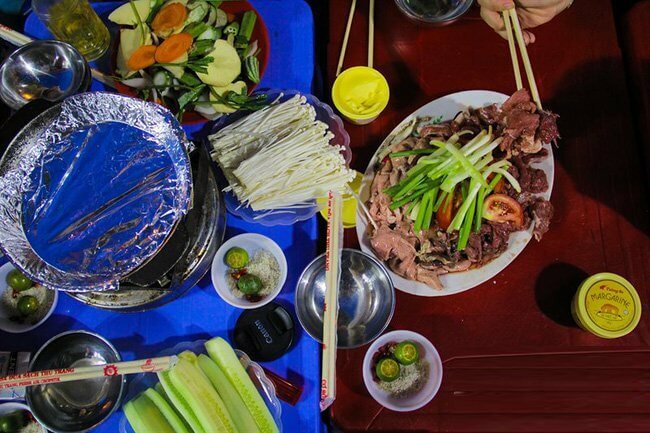 This is the first stall in Hanoi selling Saigon sweet soup, which opened more than 40 years ago, therefore it has established a strong reputation in the gourmet of Ha Noi. 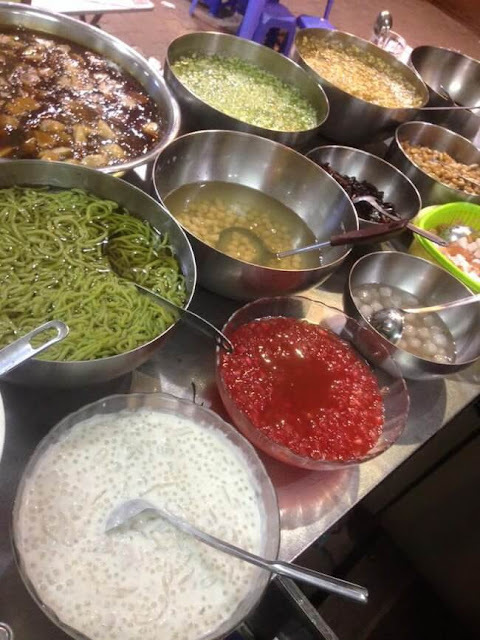 Coming here, diners will enjoy countless delicious sweet soup of the Southern land, especially to mention: pomelo sweet soup, green bean sweet soup, jelly sweet soup, seaweed sweet soup,... The cup of sweet soup is an interesting, and eye catching combination. 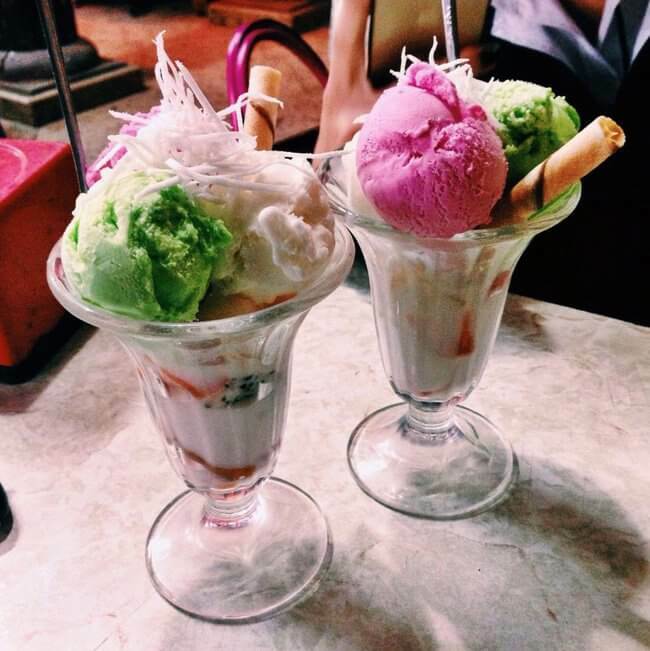 Not only nice, it is also very delicious. That’s why though the price is not cheap, the adress is always crowded and is the familiar place of many people. 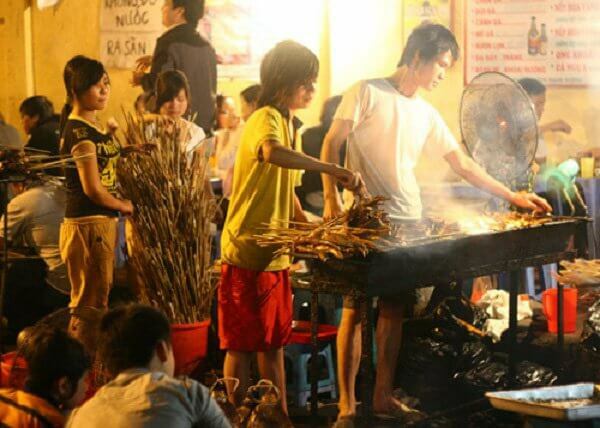 Although located on Nguyen Thai Hoc Street, Ly Van Phuc Street is also considered in the snack complex of Cat Linh - Trinh Hoai Duc. 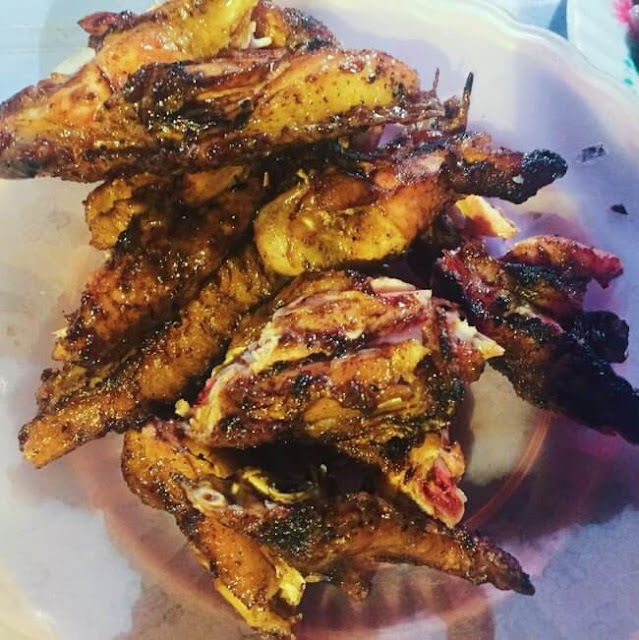 Roasted chicken leg with restaurants across the Ly Van Phuc street has long been a "brand" because of delicious taste and relatively cheap price. The main secret here is marinating skill with honey and other types of spices then baked in the charcoal until the inside well cooked, while the outside become crispy, eye-catching and fragrant. 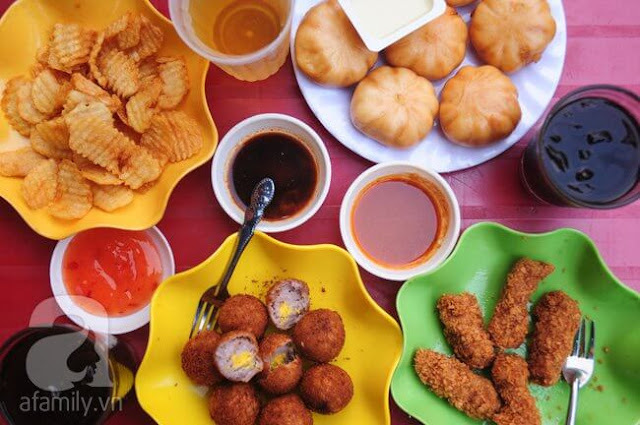 Along with grilled chicken legs, grilled chicken wings, roasted potatoes or baked butter bread … are also the favourite dishes of the young people.